The 7th set of ground forces are coming to War Thunder in their next update, the Italian army! Coming in Update 1.85, which is also scheduled for December 2018, it will add dozens of Italian ground vehicles to herald their arrival. Historically accurate, playable tanks, self-propelled guns, anti-aircraft vehicles and more from early World War II period and on will be arriving. One of the prime examples of Italy’s prowess is the Semovente 105/25 M43 a late World War II self-propelled gun and tank destroyer, featuring a deadly 105mm cannon and a low, well-armored front earning it the nickname “Bassotto”, or “Dachshund”. With its hollow-charge rounds it is a serious threat even to the best-armored enemies it will face on the battlefield. 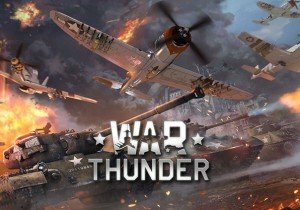 A Premium version of this vehicle, which belonged to the famous “Leoncello” tank division is now available to preorder in the War Thunder store. Owners of any of the three Italian vehicle packs, including those that contain either the P26/40 “Leoncello” or M26 “Ariete” tanks that are already playable in War Thunder, will be among the very first to try the new Italian ground forces in combat. Until December 6th, players can secure a 30% discount by purchasing all three vehicle packs in a bundle. All owners of an Italian vehicle pack and those who fulfill special in-game tasks will be able to join the testing of these vehicles. Players on PlayStation 4 and Xbox One will be able to purchase all three Italian vehicle packs following the release of Update 1.85, with the P26/40 “Leoncello” and M26 “Ariete” packs already available for purchase on PlayStation 4. The Mining and Smithing skills for Runescape have officially come of age! Today marks Runescapes 18th birthday. QC Games released a new patch to Breach today - 0.2: Shadow Master, which brings the titular Veil Demon class to life.